Getting ready for tax season can be incredibly stressful, but there are some things you can do to make it easier. Here’s a list of helpful suggestions that can take some of the stress out of this hectic time of year. Gather your receipts. 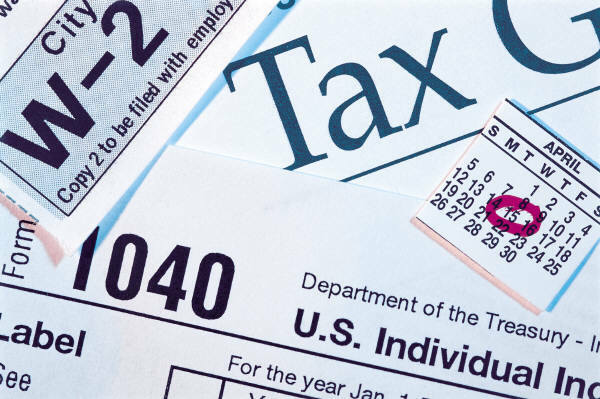 Even if you’ve never itemized deductions in the past, keeping track of your potential deductions can help you determine whether you should begin itemizing this year. Potential deductions like charitable contributions or business expenses can add up quickly, so keep track of them—no matter how large or small. Make a list of income sources. The alphabet soup of forms arrives sporadically through January. If you keep track of your income sources throughout the year, you’ll know what to expect. You’d hate to start down the road of filing your taxes only to discover a straggler W4 or 1099 that you had forgotten about. Save your receipts from online purchases. Some online companies don’t charge sales tax depending on the state in which you live. However, it may be a good idea to hang on to that receipt. Some states ask you to list your online purchases and they try to collect a state sales tax (of sorts) on tax day. Use your planner to save hours of hassle. Keep a running record of your spending and store necessary receipts right on your planner. You can even mark the pages on days when you made a significant purchase or donation, so you can reference that information as you sort through your tax documentation. Create a better system for next year. Tax time is upon us. Any missed opportunity to plan for tax day during the year is gone for now. The most important thing you can do at this point is to establish a method to make taxes easier the next time around. Go through your paperwork regularly—keep your files clean and organized—keep an organized accordion file or file drawer for receipts and paperwork, and start organizing your 2014 tax folder today. Use technology to make it all easier. Create a spreadsheet in Excel or some other format that allows you to track your income and expenses. You can create columns for all your tax-exempt donations, business expenses, or home energy-saving expenses. This will make filling out your tax forms a breeze. Talk with your accountant. Tax law is so complicated that most average Americans couldn’t begin to file their taxes on their own. If the online forms and software aren’t sufficient for your needs, contact an accountant. A good accountant can sometimes find enough deductions and adjustments to justify their cost. And even if they don’t, there’s a certain comfort that comes from knowing you’ve done it right. Wow, this is really helpful. Our taxes are more complicated this year than they\’ve ever been before, and I\’m approaching tax time with some serious trepidation! I\’ll start tracking now for 2014. Previous PostPrevious 9 Steps to a Tidy Coat Closet!